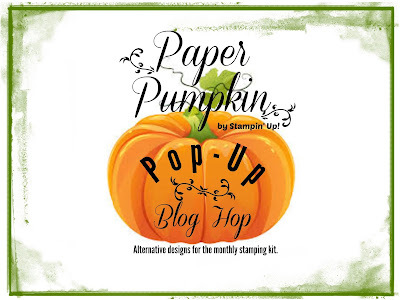 Welcome to our Paper Pumpkin Pop-Up Blog Hop featuring alternate designs for July's kit, Picnic Paradise. 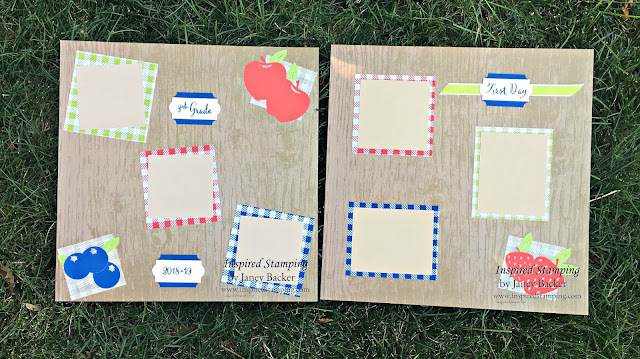 My friends and I are so excited to share a variety of alternate ideas to inspire you! July's Picnic Paradise kit was designed with 4 adorable baskets, lined with checked tissue paper. There are 12 mini cards that can be gifted in the baskets or used as you like. 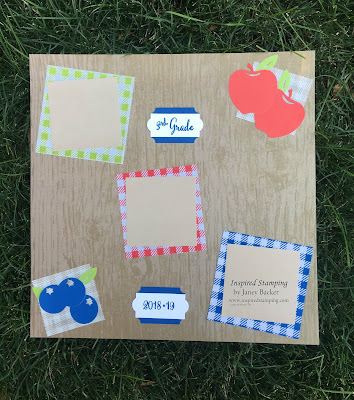 I was inspired to design a back-to-school layout for scrapbooking. 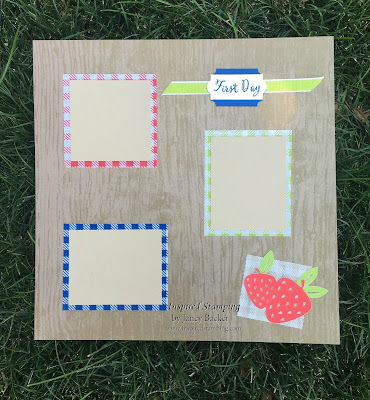 I designed a two page layout, that is all ready for picture placement and/or journaling on the mats. I always take a first day back-to-school photo of each kid. This year my youngest starts at a new school. This is a special occasion because the school is just opening, so there will be lots of firsts to capture for the school and her. 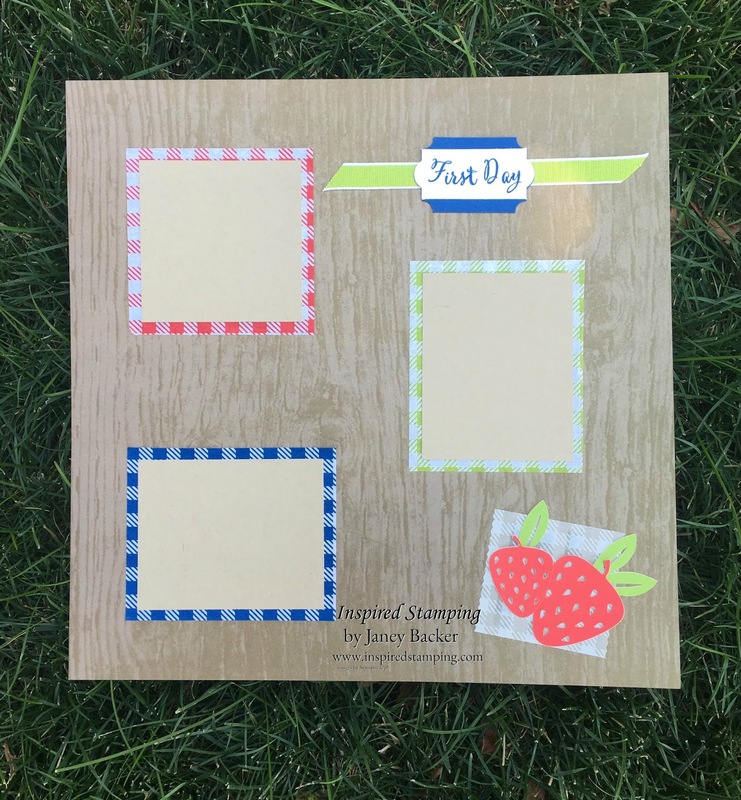 I think this looks so fun for recording our memories. The colorful tissue is heavy enough to be a decorative layer under each picture mat. The picnic theme prompted me to use our grassy lawn for the photos today. You can find a supply list of products for my project at the end of this post. 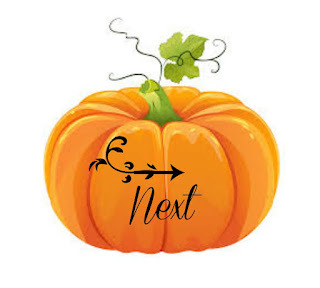 Please click on the pumpkin "next" button below to see the lovely alternate design by Cynthia! Please join me or your own demonstrator as a Paper Pumpkin subscriber today! Use the promo code: BLOOM0818 to receive 50% off your first month. Here is a little hint: the August kit features florals like you see in the image above. If you don't have a demonstrator or that is me CLICK HERE to subscribe. Returning subscribers can use a new email address to take advantage of this promotion. It doesn't matter if you use the same name, address, and payment method. 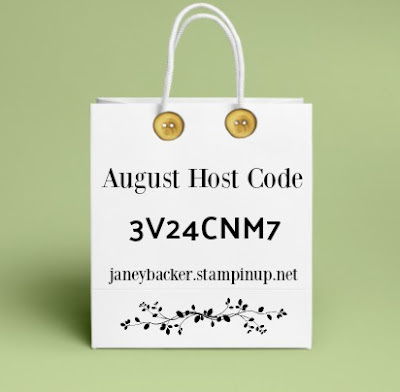 Please use the August Host Code when you order is less than $150.